By Meyer of New York. 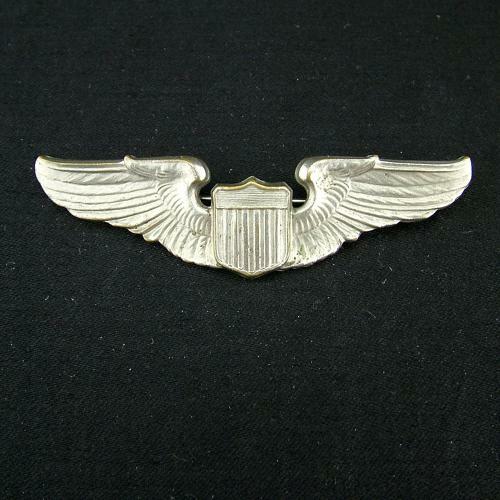 Full size 3"/7.5cm cast 'silver' pilot wing. Pin backed. Maker marked to rear. This is purported to have been presented to R.A.F. pilot Robert G Chandler on completion of his flying training in the USA during WW2. He later flew operationally on Lancasters. Excellent condition. Stock code U21962.